Congratulations! The countdown is on to one of the most memorable days of your life. Whether you want a natural wedding makeup look or all out glam, my aim is to enhance your own personal style and bring it to your doorstep. With over 10 years experience in commercial, wedding makeup and everyday makeup, I have built a reputation based on clean, precise techniques and eye for colour. I believe that you should look like yourself, just the effortlessly gorgeous version. That listening to what you like is critical. I consider myself very lucky to be a part of such a special and intimate day and creating that first look is something I am proud to be part of. 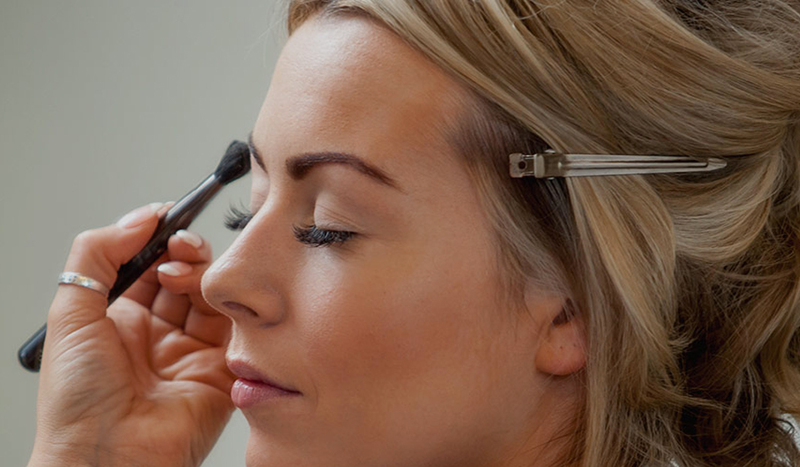 Choosing the right look for your wedding is all about being comfortable enough to talk through your choices and options in an intimate and professional surrounding and begins with a wedding makeup trial. Brides-to-be often ask whether they need a make-up trial and I highly recommend having one so that your vision and look for the day is achieved. During the trial we spend time getting to know what you like and want for your wedding. We try out different looks until you are happy and confident with your choices. Products used will depend on age, skin types and the overall look you want to achieve. You have complete use of the salon on your wedding day with a party of 4 or more. We require a minimum of 4 people for a call out and travel costs will apply for locations outside Waterford City. Please get in touch for a personalised quote.